The Mirella Academie has a firm shank to provide support and resistance to a developing foot to help build foot and ankle strength. Like the Mirella Advanced and Professional Pointe shoes, the Mirella Academie is a beautifully light, comfortable and elegant shoe. The vamp and sides are slightly higher than the MS101A and MS101P, providing additional support to the wearer. The outer sole is incredibly flat, especially helpful to the student dancer by providing greater stability for balances on flat, running and walking. 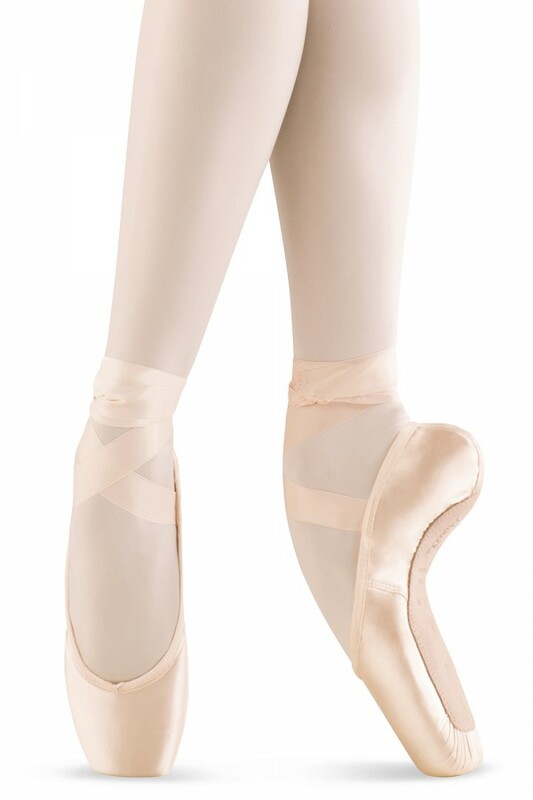 The gently curved sole hugs and supports the dancer's arch en Pointe, giving a beautiful line and needing little or no breaking in. This shoe has a large platform, giving greater control en Pointe for ease when balancing and turning.